Do you want to obtain a Ph.D.? Do you have questions about the doctoral education process but don’t know where to get answers? Do you want to know what you can do now to prepare yourself for a future career as a Ph.D. holder? Look no more, because the Twitter #PioneerChat on March 12 from 7-8 PM EST is for you. With special guest, Dr. Fatimah Williams Castro, this chat will offer advice to anyone interested in all things Ph.D. Not limited to those interested in pursuing a Ph.D., this chat will engage current Ph.D. holders in discussions about ways that they can leverage their careers while maintaining their skills and voices. Bring your questions and expertise to our chat! Dr. Fatimah Williams Castro speaks, writes, and coaches on career planning and professional development for Ph.D. job seekers. She is the Founder of Beyond the Tenure Track, a career consultancy that supports graduate students, postdocs and faculty in exploring and transitioning to careers beyond academic teaching and research. 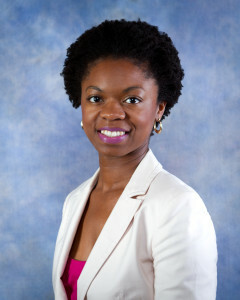 She earned her Ph.D. in Cultural Anthropology from Rutgers University in 2011 and holds a B.A. in Foreign Affairs and African American Studies from the University of Virginia. Dr. Fatimah is author of “Top 45 Nonacademic Careers for PhDs”, and her scholarly articles have been published in Journal of Latin American and Caribbean Anthropology, Latin American Perspectives, and Anthropology News. She is a contributor to the online publication of The Chronicle of Higher Education. Dr. Fatimah was awarded the Consortium for Faculty Diversity Postdoctoral Fellowship and has worked outside the academy in nonprofit program management and management consulting. She is half-time Associate Director at the University of Pennsylvania Career Services as career advisor to graduate students and postdoctoral fellows in science, math, engineering, social sciences, design and humanities. Dr. Fatimah is on a mission to equip PhD Job Seekers to access the wide range of engaging and meaningful careers available to them. To book Dr. Fatimah Williams Castro for speaking, email support@beyondthetenuretrack.com with details about your event.